A connected car system involves a ton of moving parts. Given the incredibly large amount of data that moves in and out of infotainment systems, advanced driver assistance systems, security systems and telematics systems for diagnostics, the processors in these vehicles have a lot on their plates. This expands exponentially when the conversation shifts to self-driving cars. In addition to operating the aforementioned connected car systems at the highest-possible levels, autonomous vehicles need to integrate a suite of various sensors and HD maps into an operating system that utilizes cutting-edge artificial intelligence technology. And the more lines of code there are underpinning all these operations, the more opportunity there is for mistakes and mishaps. But when it comes to multi-ton automobiles traveling at high speeds with living, breathing passengers on board, there isn’t room for mistakes and mishaps. To help quell the concerns of connected car and autonomous vehicle developers looking to ensure they’ve made the safest products possible, BlackBerry has introduced Jarvis, a new cybersecurity product for automakers. BlackBerry CEO John Chen introduced Jarvis at the North American International Auto Show (NAIAS) in Detroit. The software is able to scan binary files for coding errors or flaws. Jarvis also searches the files to ensure that they adhere to industry standards. Jarvis will operate as a cloud-based subscription service, meaning that customers pay as they go and can upload files to be scanned from anywhere. Given the aforementioned high stakes of fast-moving automobiles, there is great concern throughout the automotive industry regarding what would happen if a self-driving car were to be hacked and controlled remotely. Though less harrowing, of equal concern is the hacking of personal data, including financial information, by accessing connected car systems. 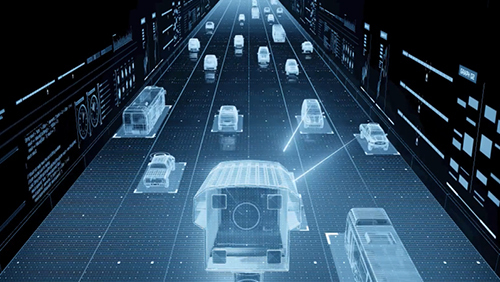 “Connected and autonomous vehicles require some of the most complex software ever developed, creating a significant challenge for automakers who must ensure the code complies with industry and manufacturer-specific standards while simultaneously battle-hardening a very large and tempting attack surface for cybercriminals,” Chen noted in a statement. Jaguar Land Rover, a preexisting BlackBerry partner, has already signed on to use Jarvis in the development of connected and driverless car systems. Jarvis also has applications outside of automotives. BlackBerry noted that healthcare, aerospace and defense industries could all find the scanner useful.